The KEY TO HAPPINESS keychain is both a bottle opener and a gorgeous metal keychain. This neat little item proves beyond doubt that 'Money Can Buy You Happiness' - and at a price that's cheaper than you may think! Shed came up with the idea for this product when listening to the radio, after someone uttered the phrase 'Money Can't Buy Happiness'... 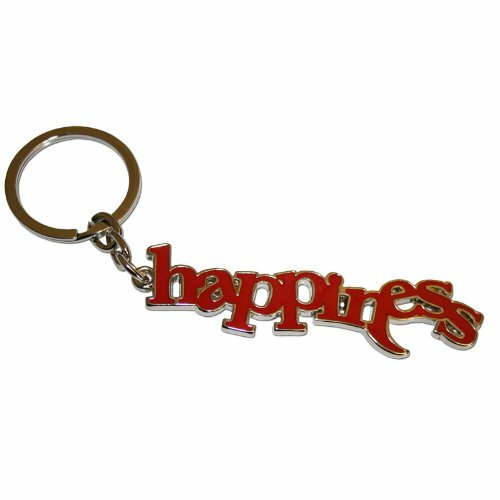 Shed began to wonder if money could actually buy 'happiness' and the idea for the keychain was born. The keychain is produced and distributed by the brilliant Team at Paladone.